Beverly Hills, Florida: I’ve lived in West Central Florida on and off, spending time in exotic places such as Thailand and Micronesia but I have always returned to the Nature Coast where the wild kingdom, after all these years, still remains wild, especially at night. This is when the wild critters come out. This pathway from ancient Oaks connects to a county recreation area which has a half- mile hilly run through areas provided for a variety of sports. Lake Beverly is a few yards to the left in the photo above, with more recreation by the lake. A fine place to relax or work out. Residents of the area can join as club members. A large swimming pool is right next to the lake just below. Included with membership are tennis courts, shuffle courts, and other recreational diversions. A large clubhouse has the very latest in workout equipment, dance workout rooms, movies, live bands, trips and more, all for the cheapest price anywhere. As for wild critters, I recently stepped out my front door and encountered a mother raccoon in the street with her four babies. I told them to move on but I forgot raccoons love humans. That’s where the free food is. As soon as I said that, all five stood up and saw me. To raccoons, people are known as feeding machines. I told them to leave and went back inside but they all came up to the door and waited for their order to come. I waited and they finally left. I took a night walk a few weeks later and I encountered a fox crossing the street when it saw me and stopped. It gave me a noticeable warning growl and I stopped, not wanting to take a series of possible rabies shots. It went its way. I live on a wooded hill in Beverly Hills where the history of human occupation dates back 11,000 years. I know that since I used to hunt for prehistoric artifacts in the Withlacoochee Forest a few miles south of my house. I found one article near two small caves among some oak trees. It looked like a tool. 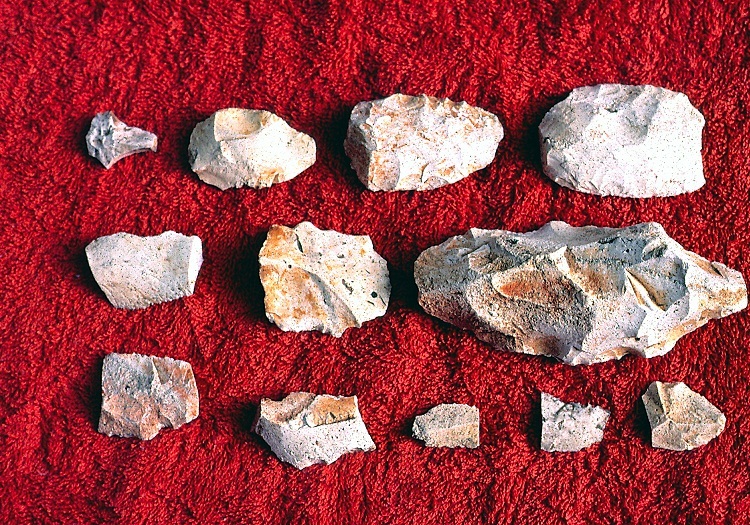 The whole area consisted of pieces of chert rock, evidence that it was a source of tools and weapons. But the biggest thrill I ever had was in August of 1984 when I was driving through Sugarmill Woods, a development for golfers. I saw a large creature standing in front of my car on the road. I slowed to a stop, opened my door and got out. There it was, a full grown panther. It turned and looked at me, making no noise, no excitement at all. It just seemed tired. All alone maybe. No companion. 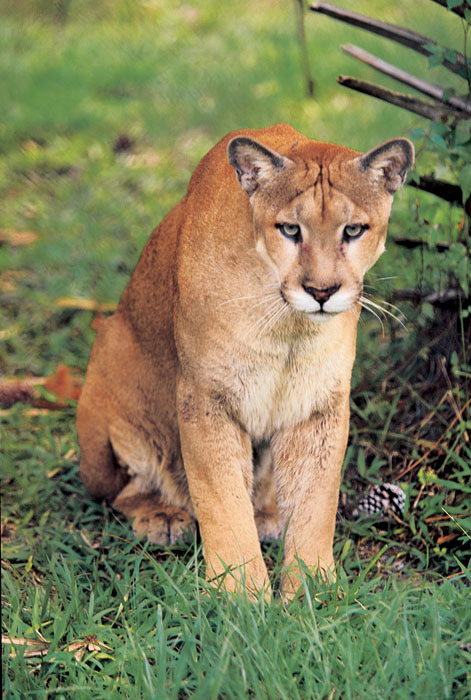 The panther looked at me again, then crossed the road and into a gully, heading for another sanctuary across Highway 19 where more wild critters live, including gators and a few bears. The cat walked a few yards, stopped again, turned it’s head back at me for a few seconds, then went its way. That was the only time I left my camera at home. But I remember it well. I wondered if panthers got lonely like humans. It was about to become extinct and it seemed to know it. A sad moment, I thought. I still like to run through the Withlacoochee on the sandy roads that push me to stride harder, usually about a mile at a time to build strength back in my legs. Then later, I would run through pathways with high grass on both sides. I had to be aware in order to look out for wild critters, both high and low. I had to stop once, as 5 grown deer leaped over the trail. Just what I needed. Being run over by a pack of deer. I could hear the 5 O’clock News, man trampled by a pack of deer. Yeah. It would be there. Especially on the late news and Radio jocks. Cause of wound, a deer hoof imprint on the side of my head. To top it off, a runner in the woods must also look out for spiderwebs, sand spurs and deer flies when it gets hot. When it happens, I use a cover net over my head. Then it sweats profusely down my face. Other than that, not a problem. (Now I pick a cooler time.) 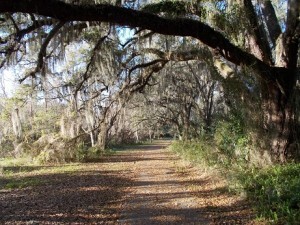 But there’s always a great place to enjoy all year long on Florida’s Nature Coast.